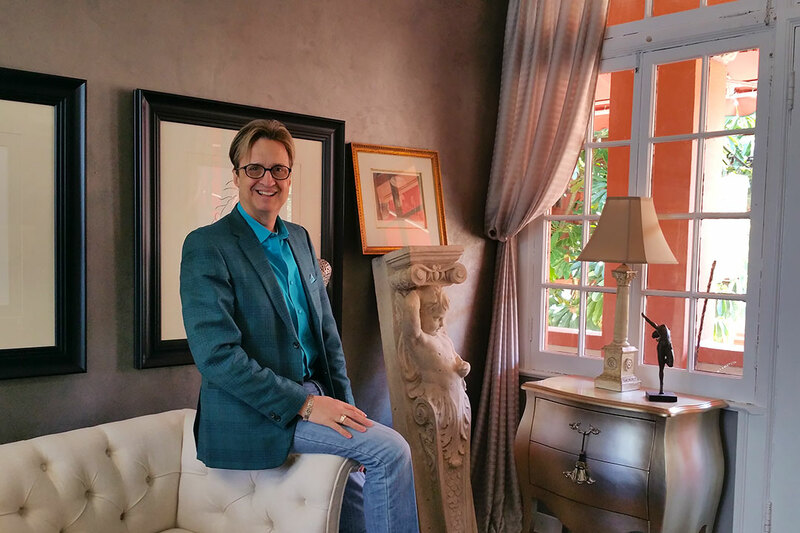 Today, Michael Gainey calls Belair Courtyard his home. 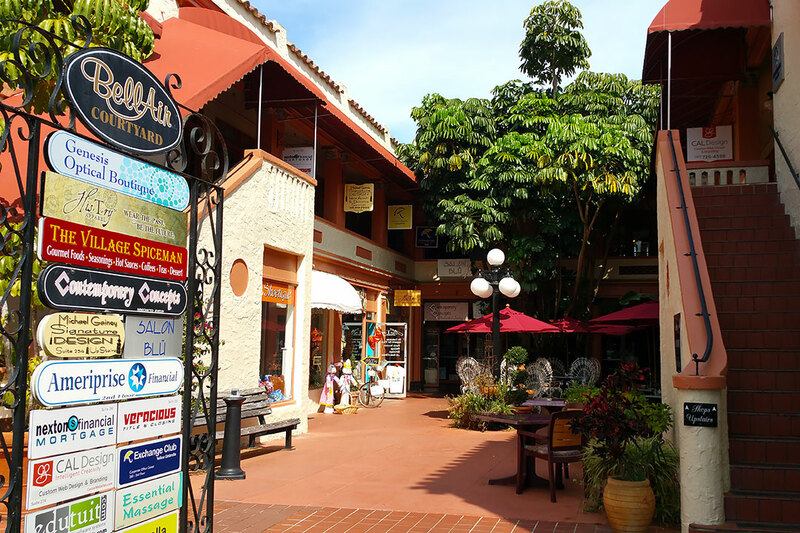 Located in charming downtown Cocoa Village, the 1920’s ambiance will immediately beckon you to come upstairs and chat with Michael about your upcoming project. Basically our philosophy is simple: prepare yourself, sit back, relax and be “wowed” as your design visions comes to life! To begin the design process, Michael prefers an initial meeting in his studio. Even if your decorating dreams may have to be done in stages, he urges you to bring in your blueprints, photos and tear sheets so that we can begin to understand your personal style and begin to sculpt your project. Since everyone’s needs are different we can discuss design fees and budget after your initial complimentary consultation. Also, inquire about our renowned “fluff and buff” service where we are more than willing to come to your home and simply work with your existing pieces. Sometimes it’s just a matter of “shopping your own home” where we rearrange your current furnishings to create a total new look for you. The rates are reasonable, and you’ll be delighted at the instant lift you and your room receive!